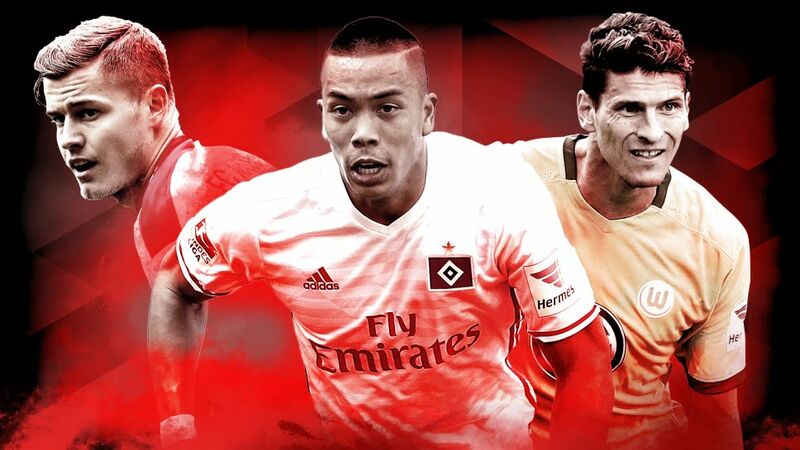 There is going to be an intriguing battle to avoid the relegation play-off berth this Saturday, with Bobby Wood (c) hoping to fire Hamburg to safety, and Mario Gomez (r.) insisting Wolfsburg will not go down. Calculators at the ready - the final 90 minutes of the season are set to see plenty of ups and downs, but who ultimately occupies that dreaded 16th place will only be determined when the final whistles blow in Hamburg, Cologne and Sinsheim. All eyes will be on the Volksparkstadion and, in particular, the clock which has been ticking throughout Hamburg's uninterrupted permanence in the German top flight. It will not stop on Saturday, but it could be entering into its final hours should HSV fail to beat Wolfsburg in what is something of a play-off to avoid the relegation play-off. In a bid to focus on the most important game of their season, head coach Markus Gisdol has whisked his team, minus the injured Pierre-Michel Lasogga, off to a training camp in Rotenburg. "All I can say is that we will be very well prepared and very focused for this game," said Gisdol. "We need to get the fans behind us. They have always been there for us." Wolfsburg need just a point to ensure their season does not go into extra-time, but coach Andries Jonker is taking nothing for granted. "We know that a draw is enough, but my team feel better when they play to win," he said. "It's going to be a beautiful game with a lot at stake." A win or draw for the Wolves would be greeted by sighs of relief elsewhere in Germany too. Barring an extremely unlikely combination of results, Mainz do not really need to worry, while Augsburg are as good as safe too. However, while the mathematics do not yet add up completely, it is worth knowing how they can still be sucked into 16th.